Bangalore or Bengaluru is among the fastest growing cities in the nation. This large south Indian city has become the capital of the IT sector and a legitimate financial powerhouse owing to the large external investment. This has brought in an influx of youth and the city has become a cultural hub in its own terms. The ‘Silicon Valley of India’ is home to people of many cultures, primarily the youth. It is estimated that over 60% of Bangalore residents are young adults. There are many reputed educational institutions located in this area, which is another reason why students from other states who dislike staying in hostels tend to look for Pg in Koramangala. This has brought in a boom in other related sectors too, including the restaurant business. As a result, some of the best restaurants in the nation can be found in the city. Many of them located in and around Koramangala, making it one of the best localities to reside in..
Let’s look at a few of the best restaurants in Bangalore. A restaurant run by a fashion designer duo, Grasshopper provides its guests with some of the best fusion food they would ever have tasted. The restaurant is located on Bannerghatta Road making it the perfect place to have a relaxed, unhurried meal away from the din of urban life. The outdoor dining area is on a farm and has a lush garden along with live music. The seven-course menu and the array of drinks available are second to none. Karavalli at The Gateway is one of the most coveted restaurants in the city, perhaps even the best. It features on the list of San Pellegrino Asia’s 50 Best Restaurants, one of the few in the nation to do so. The menu includes authentic delicacies from many regions and cultures, including the regional dishes of Mangalore and Goa. It is located on Residency Road. Cafe Thulp! is a favoured hangout spot among the locals of Bangalore and is heralded as the place that serves the best burgers in the city. The burgers are available with a range of toppings–from the laid back, calm ones to the extravagant toppings. Vegetarians are not left behind with the falafel veggie burger and crispy sweetcorn burger being the best among the vegan options. This cafe is located in Koramangala. So, make sure to give it a try! An authentic Japanese restaurant located in the ITC Gardenia Hotel, Edo serves a range of tasty, delicious dishes. Skilled sushi chefs do their thing in an open diner in front of their customers. The drinks are to die for, with the restaurant serving many Japanese options too. The decor within the restaurant is minimalist and the ambience is extremely relaxing. The restaurant is located on Cariappa Road, Bangalore. A good option for vegetarians is Imli Cafe and Restaurant has a strong focus on the North Indian style of cooking. 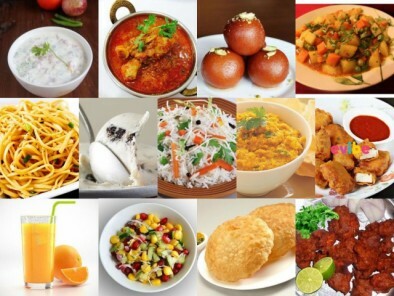 A mix of dishes well-known in the Western culture as well as authentic Indian dishes like Pav Bhaji are served here. The restaurant is situated in a converted bungalow and has ample terrace space and outdoor dining options. This affordable restaurant is located in Indiranagar. Finding affordable and comfortable housing in Bangalore used to be an issue, but Nestaway has changed the landscape entirely. Through the app, one can find places to rent in many localities in the city, you can now easily go through many apartments and House for rent in Koramangala Bangalore . So, move to this youthful locality and enjoy the exuberant culture!